A big thank you to everyone who joined in the challenge this week! We had 60 fabulous entries that totally rocked the purple, green, gray and white color scheme! 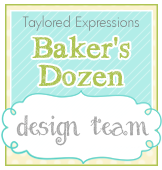 It's time to announce our featured stamper which is entry #21 chosen by random.org. - YoonYoung Kim! 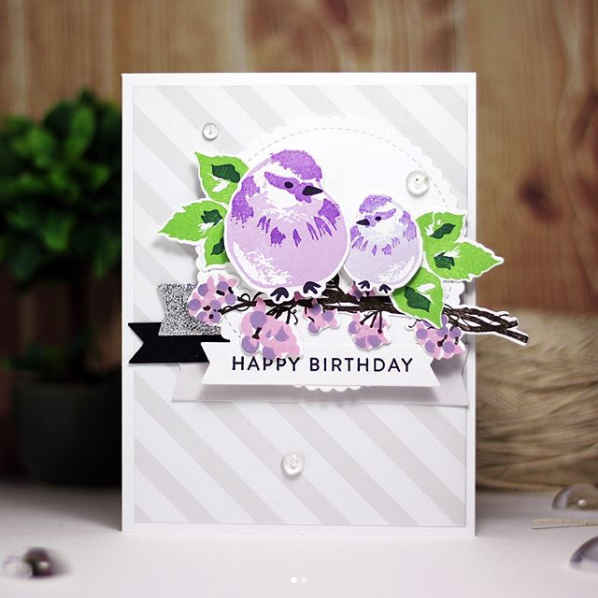 Check out her lovely bird collage against the subtle gray striped background! Congratulations, YoonYoung Kim! 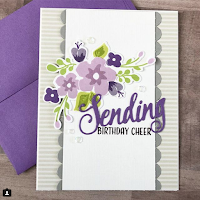 You are our Featured Stamper for today, and are now invited to join us as Guest Star Stamper for the CTD challenge on February 28. 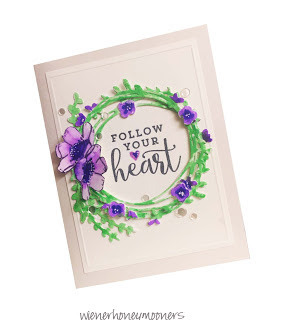 Please email us at colorthrowdown [at]gmail[dot]com by noon Eastern time Friday, February 23, to obtain your Featured Stamper blinkie and get details for the challenge. 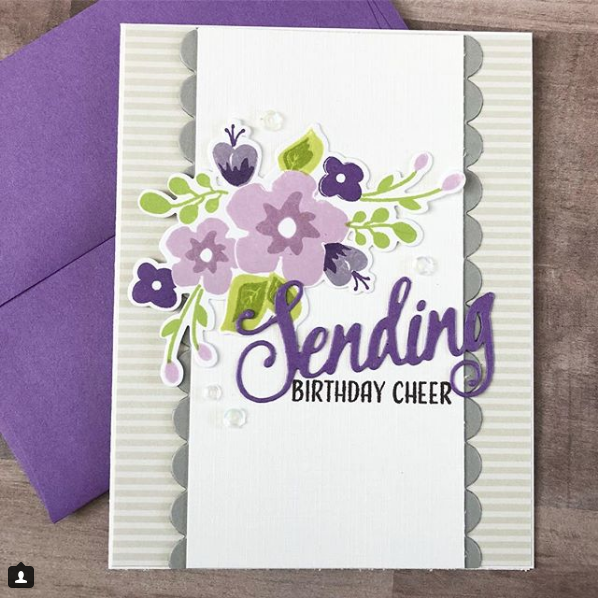 Be sure and stop back tomorrow to see the beautiful new color combo chosen for us by Amy Rysavy! All of these cards are breathtaking!! What fabulous cards, ladies!! Congratulations! Spectacular picks!!! These are terrific!! !